Cape Town - Trade union federation Cosatu has called on President Cyril Ramaphosa to cut SA's "bloated" Cabinet in half. In a pre-State of the Nation Address statement, Cosatu said that "captured ministers" should fired be immediately, and "bling lifestyles" of the political elite stopped. It did not specifically name any ministers. Ramaphosa will deliver his maiden SONA in Parliament at 19:00 on Friday. Following Ramaphosa's swearing in as president in Thursday, he now has the executive authority to choose the composition of Cabinet by appointing ministers. The new president has not yet publicly said who he will axe or keep from Zuma's last Cabinet. 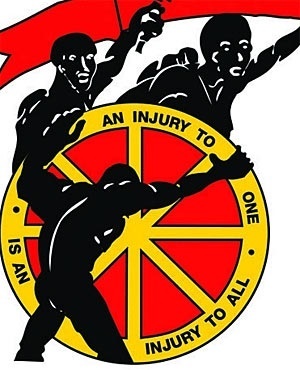 Cosatu also called on Ramaphosa to clean up state-owned enterprises. "South Africa needs a clear plan to clean up Eskom, SAA, SABC, Denel and SASSA. This must include comprehensive forensic audits and the arrest, prosecution and the seizure of assets of all those implicated in corruption," said Cosatu. "An improvement of governance and management systems in the SOEs that will help put them on a sustainable financial footing. This must definitely not include privatisation." Ramaphosa, after he was sworn in on Thursday afternoon, said in a brief remark that he would be focusing on how to improve state-owned enterprises, deal with state capture and fight corruption. He is expected to elaborate on these issues during his address.